We manufacture a range of Power Transformers between 5MVA/33KV to 31.5MVA/132KV including two winding, three winding and auto transformers. The medium sized Power Transformers are manufactured at the Thirumazhisai facility. 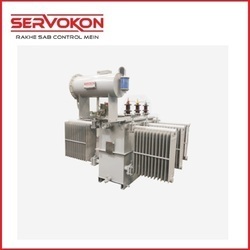 In order to keep pace with the never ending demands of customers, we are involved into offering wide range of Heavy Duty Electric Transformer. We bring forth a compendious range of Custom Power Transformers for our clients. These products are widely used in various industries to serve variegated electronic and mechanical applications. Having a definite quality management system, we are engaged in manufacturing, trading, importing, exporting and supplying optimum quality Power Transformer. Applicable Standards: IS, IEC, ANSI, JIS, DIN, BS, etc. We are specialized in installation of a comprehensive range of Power Transformers upto 25 MVA 132/11 KV. 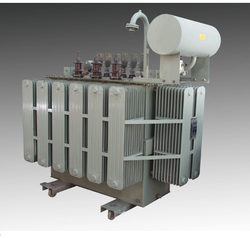 These transformers are fabricated using superior quality raw material and can easily withstand poor site conditions. Low on maintenance, the range that we are offering stands high on performance and durability.